You know who they are. The geeks in your life. Your brother. Your sister in law. The kid who fixes your computer and connects up all your electronics for you. Your Uncle who reads the encyclopedia for fun. Your dad, or maybe your mom. Your kid, nephew, niece or sweetheart. Or YOU - you very cool geekster. We all know and love a geek or two, and when it comes to buying our good geek a gift, it gets tricky. So fear not, geek lovers and geeks - here's a great collection of geek gear, garb and gadgets to end your fear of geek gift shopping ing once and for all. Check out all the geek designs in customized imprinted clothing, gifts and gear. Kindle Folio Covers come in your choise of fabric wrapped exterior with your favorite photos, designs or just text, plus five different suede leather color interiors to complement your design. Cases for many other e-devices, too! Got a great graphic or cool idea? 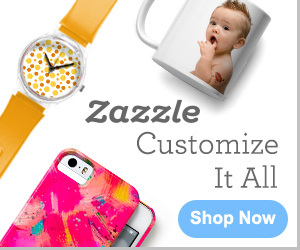 Custom design and print your own gifts, gear or clothing now! Print 1 or 1000 - for yourself or to sell.